Internal strife in the third-largest and once most powerful faction of the governing Liberal Democratic Party has come to an end with the resignation of its leader. Former Finance Minister Fukushiro Nukaga, who took the helm of the faction in September 2009, had been under strong pressure to step down for failing to stem the group’s steady decline. All 21 Upper House members of the faction boycotted its regular meeting in January, threatening to leave unless Nukaga immediately resigned. Nukaga and the other executives of the faction were unable to ignore the call because the 21 account for roughly 40 percent of its 55 members. 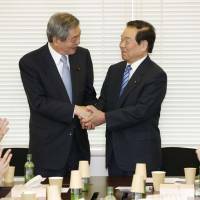 On March 14, Nukaga told a fundraising party held by the faction that he would resign and hand over leadership of the faction to his deputy, LDP General Council Chairman Wataru Takeshita, the younger half-brother of its founder, the late Prime Minister Noboru Takeshita. Takeshita officially became leader at the faction’s general meeting on April 19. “We must keep in mind that we have always been working at the very center of Japanese politics and we must continue doing this,” he told the meeting. 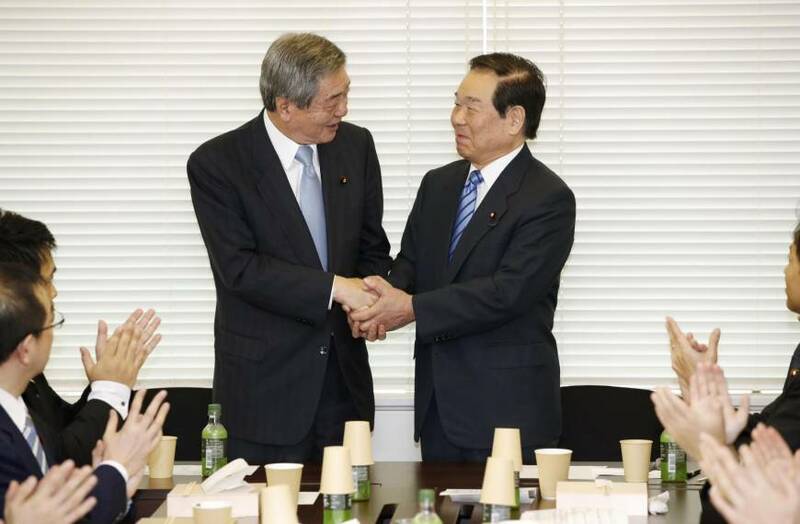 Nukaga pledged to support the new leader and work for the development of the faction. The faction originates from Keiseikai, an interparty group founded by Noboru Takeshita as an offshoot of the faction led by the late Prime Minister Kakuei Tanaka. It included such political heavyweights as late Prime Ministers Ryutaro Hashimoto and Keizo Obuchi, the late LDP Secretary-General Hiromu Nonaka and Mikio Aoki, former leader of LDP members in the Upper House. But Obuchi was the last prime minister and LDP president to emerge from the faction. Under Nukaga’s leadership, the group failed to field a candidate in the LDP’s presidential elections. The revival of the “Takeshita faction” has aroused expectations among the members that it will return to the center of politics. But uncertainties lie ahead, including whether it will be able to field a candidate in the LDP presidential election this autumn. Members including economic revitalization minister Toshimitsu Motegi and Health, Labor and Welfare Minister Katsunobu Kato are seen as potential candidates in light of their career and age profiles. But many of the younger members dismiss them for lacking the “impact” or “centripetal force” needed to receive full faction support. Takeshita and other faction leaders regard former trade minister Yuko Obuchi, a daughter of the late prime minister, a future candidate for LDP president. But the younger Obuchi has been sidelined since she resigned from her post in 2014 due to a political funding scandal. Many in the faction agree that it will be years before she can become a candidate for party leader. Takeshita’s noncommittal stance suggests he will try to strengthen the faction’s presence in the Abe administration by hinting that it may support former LDP Secretary-General Shigeru Ishiba, Abe’s top rival, in the leadership race, political analysts said. Nevertheless, while the Takeshita faction remains short of a candidate for LDP president, the group is unlikely to regain its past strength anytime soon, the analysts said.